As always, this latest selection has been chosen due to its impressive aesthetics, though location has also been considered. 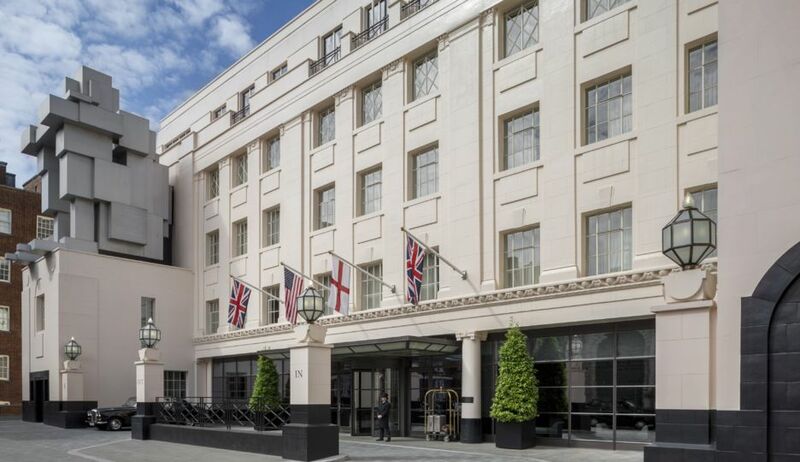 It's not with every stay you're guaranteed peace and tranquility on a landscaped square and still be just minutes away from shops on Bond Street! Yep, as far as luxury stays go, The Beaumont is more than a little idyllic. 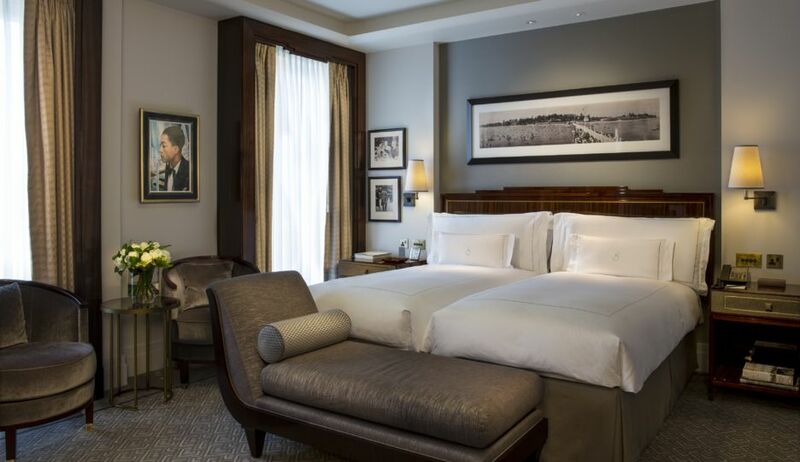 Booking options range from Classic Rooms to the luxurious Roosevelt Suite; the hotel's presidential suite comprising five bedrooms and more surfaces to put down your book than a library - it strikes me as the kind of accommodation from which you'd struggle to check out! I'd imagine by now you've picked up on the recurring theme of dreamy bathrooms in my Hotel Wishlist series. Though, I know I'm not alone in my love for sleek designs, flattering lighting and ample supplies of toiletries - after all, there was unanimous swooning over the Cheltenham No.131's bath tub a couple of months ago! 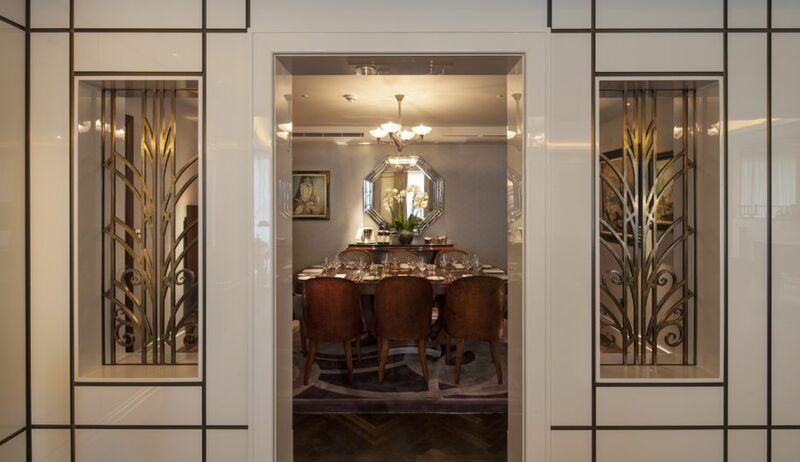 I may have focussed on sharing images of the award-winnning hotel's bedrooms (and yes, bathrooms) in this post, however The Beaumont has equally enticing dining options available, as well as Spa & Gym facilities including a salon. Do you think anyone would notice if we all wheeled our suitcases up to the Roosevelt Suite and never emerged again? I mean, there's five bedrooms as well as a sitting room, dining room (shown below) and a pantry kitchen, so it's not completely incomprehensible! I hope you've enjoyed this thirteenth addition to the series, keep your eyes peeled for the next one - it's another stunner! Wow. The hotel is absolutely beautiful! Frankly a hotel's bathroom is a make or break deal for me. I love walking into a hotel room that has a spa-like bathroom, it makes a huge difference for me. Wow, what a stunning hotel! 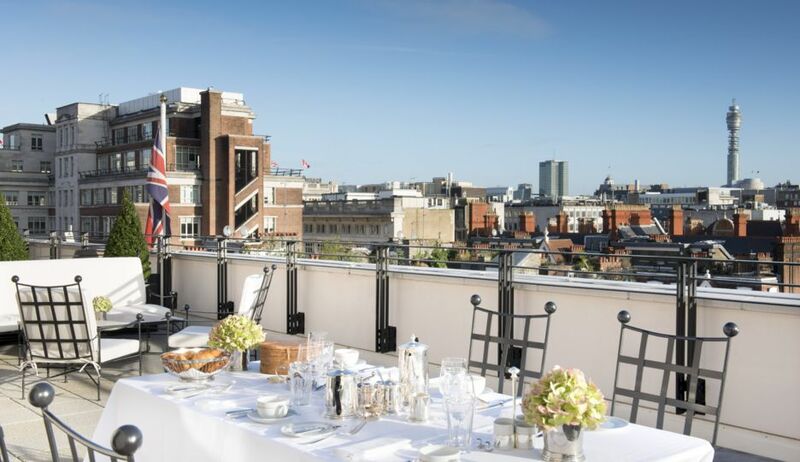 I might suggest staying here to my boyfriend, for the next special occasion we have in London. Fingers crossed, although I don't hold out too much hope! I've been to the Beaumont for breakfast and it's lovely, a great Art Deco atmosphere! I am a sucker at a beautiful marble bathroom! Gosh, one day when I earn enough, I will be able to stay there! This place looks absolutely grand and lovely! This hotel is beautiful! I must add London to my travel list!! You have the BEST taste in these hotels, I want to go to each and every one of them! Hope 2016 is off to a lovely start, xo! Look at that gorgeous marble in the first shot- soooo lux! Such a beautiful place indeed! Amazing photography! Happy new year, Gabrielle! I wish you all the best- be healthy, happy and inspired! This place seems so chic! That's the word that sticks out the most for me. It looks like a dream! I hope you can check it out in person, and I hope 2016 has treated you well so far Gabrielle! I love when I travel to see how amazing and luxurious they really are! My goodness those places look amazing! I think it's one of the most beautiful hotels in London! The hotels bathroom is very important to me, I really want that clean, luxurious feel when I check in. The hotel is so cool, especially the bathroom! It looks so elegant and clean. Would love to stay here someday! Oh my goodness doesn't this look luxurious. I especially love the two dressing gowns hanging up! I would love to snuggle into one of those. Oh my God, how stunning! Hope you are having a lovely week, Gabrielle! Take me with you, Gabrielle! Haha! The aesthetics of Beaumont are for real impressive!! 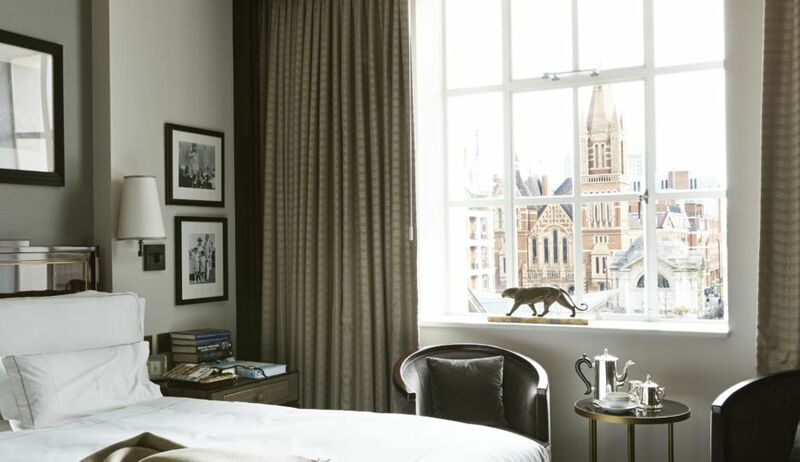 London, (Paris and NYC) have the best hotels in this world. Wow! The Beaumont looks absolutely gorgeous!! Wow!! It has such a stunning view! The hotel seems really beautiful! This hotel is absolutely stunning! 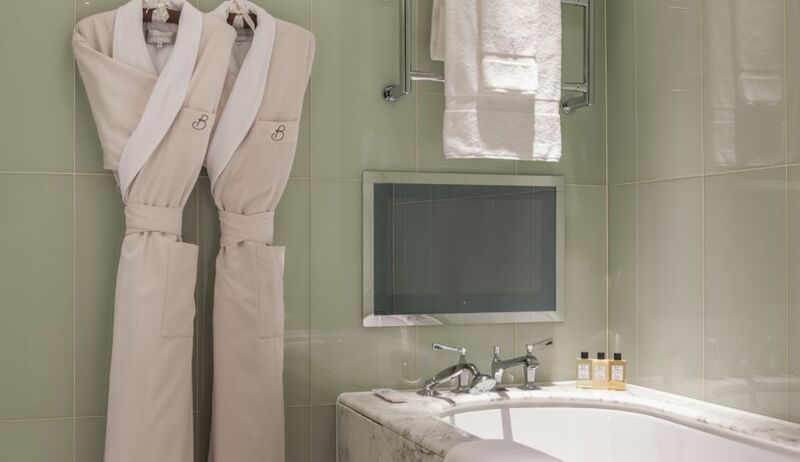 The bathroom is super gorgeous, I would be happy just living in there lol If I haven't mentioned before, these posts are def one of my favs, each time I read an installment of your hotel wish list, it feels as though I have been whisked away to that location. Wow, this hotel looks amazing! I love the bathroom! That bathroom is DREAMY! Such a luxurious hotel Gabrielle. I love the decor. Such a dreamy hotel in such a fab location! Love the aesthetic!! Oh wow this hotel looks absolutely incredible! What a beautiful place to stay! Hope you get a chance to experience the Beaumont soon! Hotel looks so good! Beautiful photos!! What a beautiful place, I'd love to stay there!! 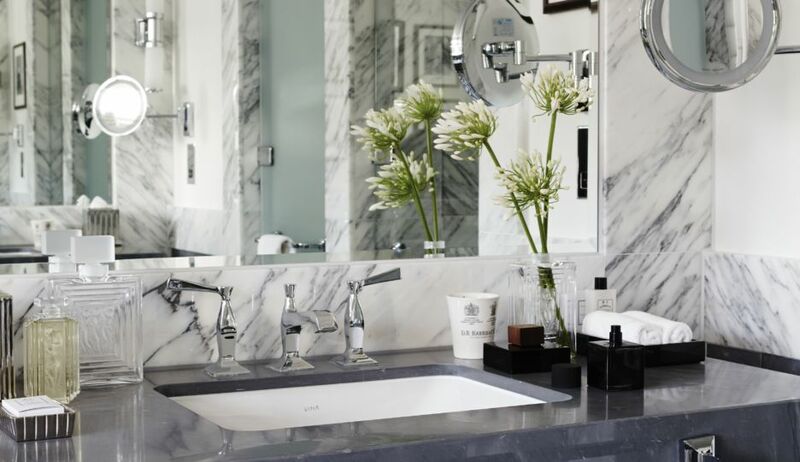 Another beautiful hotel choice, marble in the bathrooms is always a good sign! 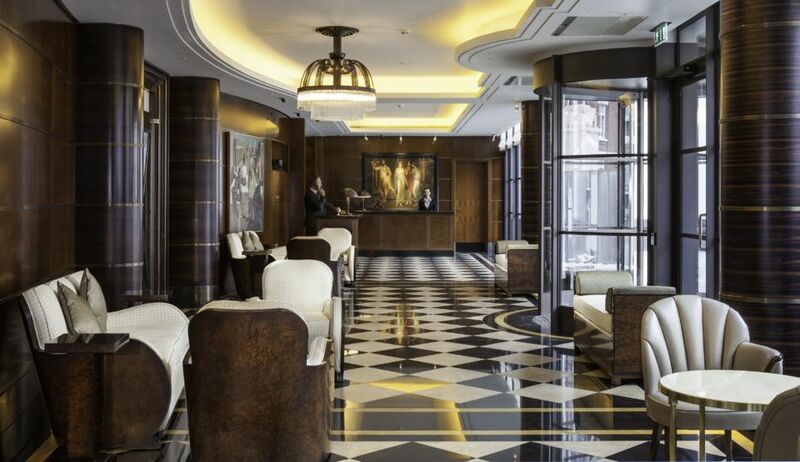 The interiors of the Beaumont Hotel are gorgeous! I think it's pretty easy to get the sleeping are right, so for me, the condition of the bathroom is make or break. Hopefully, your wish will come true one day! woah! The hotel looks so amazing! I like your photos! What a classy place to sleep. These photos came out beautiful too! Now I wanna pack my bags and go on a vacation! You got me daydreaming about this place! This hotel looks like a great place to stay. You've got to have some dough to live in a hotel like this. Just fabulous and so damn nice!! Oohh I stayed there when I went to London for a quick weekend trip! It's absolutely stunning. I loved the location. Also- those are totally my bathroom goals. Currently in the midst of making renovation plans at our country home, and this is total inspiration! This hotel looks absolutely stunning! Blown away by the details. I'd want to book a stay at this hotel just based on the luxurious bathrooms and tubs but everything else about it looks just as impressive. The Mayfair neighborhood is really nice as well. Happy new year hon, this hotel looks so great, very beautiful decor. Love the bathroom of the room, and that view though, I'd love to have breakfast up there! Wow, this is such a beautiful hotel, Gabrielle! 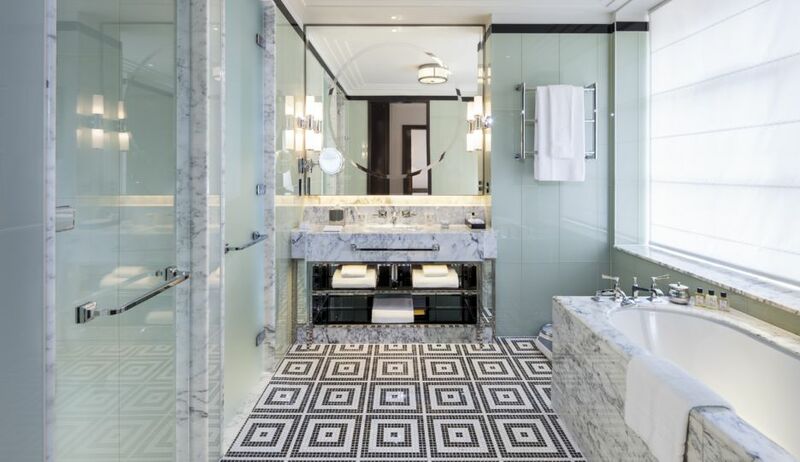 My favorite room would have to definitely be that gorgeous bathroom; how gorgeous are those marble pieces against the tile floor?! Ugh, love! Thanks so much for sharing, beautiful, and I hope you had a lovely day! Gorgeous! It looks so calm and luxurious! I would never want to check out. Amazing post! looks so luxurious!!! gorgeous interiors! You need an AMAZING hotel room? Check this blog :) woooww love it. I love reading your hotel wish lists, always such good travel inspiration! love all those luxurious bathrooms, my dear, this place is fantastic.. This hotel looks so so so amazing! this hotel looks so amazing. 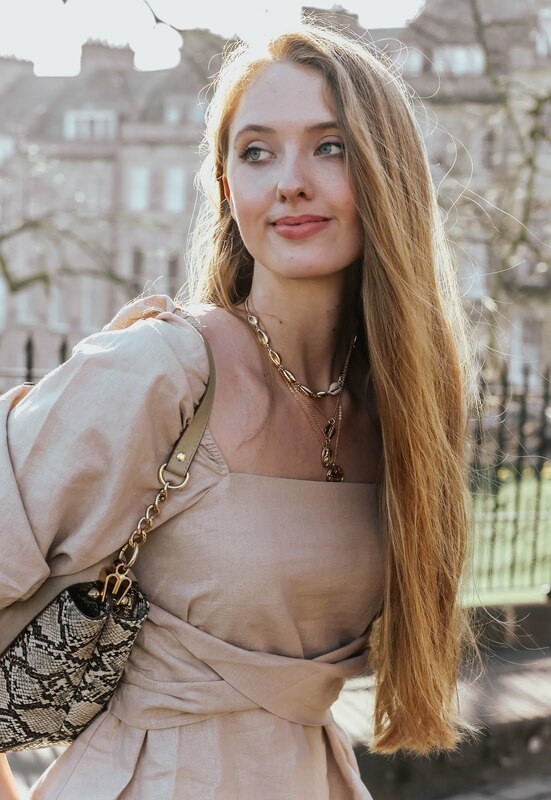 classy and stylish! i've actually walked pass it several times, wondering how does it look inside. thanks for sharing! :) have a great day! That terrace is lovely and the bathroom is to die for! The bathroom is what dreams are made of! Loving the interior! Another gorgeous hotel! Gets me dreamin! This hotel is so beautiful and that marble bathroom is my favorite!! Thank you for always sharing amazing places!! Have a nice day! Wow, this hotel looks absolutely gorgeous. It definitely needs a visit!